Courtney received her Bachelor’s degrees from St. Ambrose University in 2012. She double majored in Graphic Design and Public Relations. Since 2012 she has been the Account Manager of Digital and Social Engagement at SYNMP. 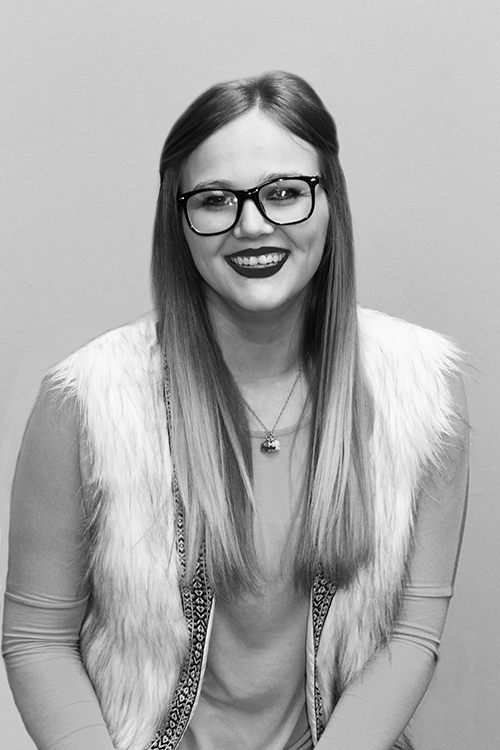 With a “diving in head first” mentality, Courtney helps clients cultivate personal relationships with consumers through digital/social marketing and Facebook advertising campaigns. Along with being SYNMP’s social media guru, she also submerges herself in creative development, including complex promotional POS kits for upcoming events or a simple OLA banner for a website. Beyond work, Courtney enjoys hanging out with her two pups, Charlie (Chug: Chihuahua/Pug/Wiener mix), and Toby (Puggle: Pug/Beagle mix). She also enjoys antiquing and home decorating. A weird fact about Courtney is that she collects nutcrackers. She has over 300 of them. No joke.